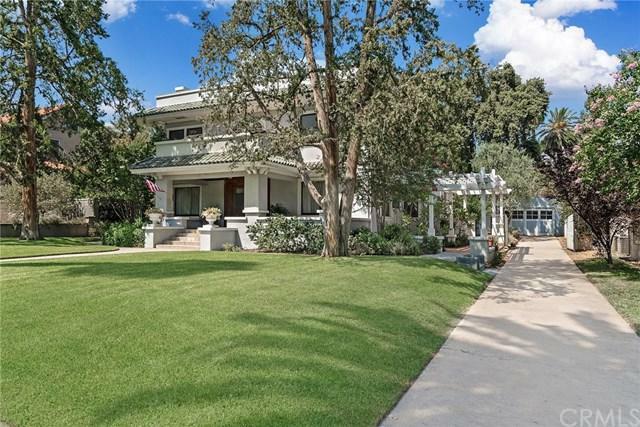 Experience the Hollywood Glamour of this Classic Mediterranean Revival Masterpiece. 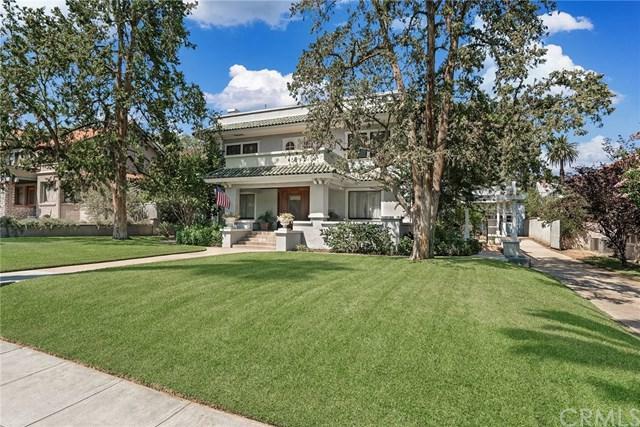 Built in 1917 by the Travers Brothers and designed by noted Arts and Crafts Architect, Lester S. Moore. 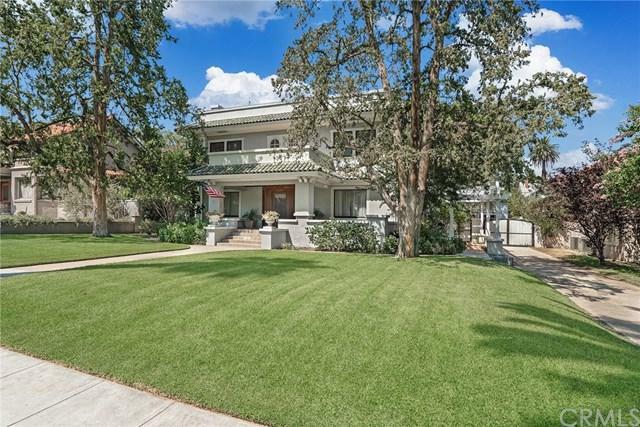 Situated in the 7th st and Mt Rubidoux Heights historic districts and designated a Structure of Merit #338. As you approach you may notice the beauty and uniqueness of the beveled solid oak entrance, while taking in the view of Mt Rubidoux from the large front porch. 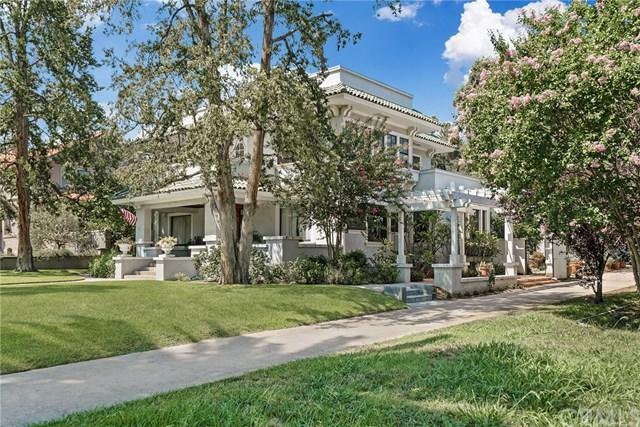 The interior is filled with Old World Elegance and Craftsmanship of a bygone era, such as quarter sawn oak floors, leaded glass built-ins, and grand crown Molding throughout. Featuring 5 bedrooms with 2 & 1/2 baths. Two bedrooms and 1.5 baths on the main floor, perfect for a master bedroom, guests, or live-in family members. A lovely home for entertaining with an enormous dining room featuring coffered ceilings, and buffet built-ins. Plenty of storage with 5 walk in closets and an 840 sq ft basement. The lot features a 130 foot driveway that connects to a pass-through garage, accessible from the street or alley ( fifty-one feet of the driveway is in the back yard), ideal for RV parking. The Sellers have added numerous upgrades: Dual zoned Central Air and Heat, Copper Re-pipe, a 200 amp electric panel, & New Roof. The bathrooms have all been tastefully remodeled, with period correct tile and fixtures. Eligible for the Mills Act which could save you 50% off your property taxes. Watch our Virtual Tour to see for yourself! Sold by Crystal Coleman of Windermere R.E. Tower Prop.. Listing provided courtesy of Frederick Gordon of Windermere R.E. Tower Prop. and Crystal Coleman of Windermere R.E. Tower Prop.